The late 90’s were a pretty “rad” time. I myself worked at the video game section of Sears and managed to snag the most recent video games. One of the first was a little title by the name of Tony Hawk Pro Skater. It was rather inventive for its time, spawning a ton of sequels which improved one after another. 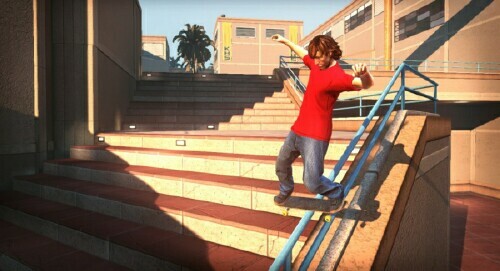 At that time, who had ever thought a skateboarding game would work in a 3D environment as well as it did? It even spawned snowboarding, BMX, and surfboarding adaptations. 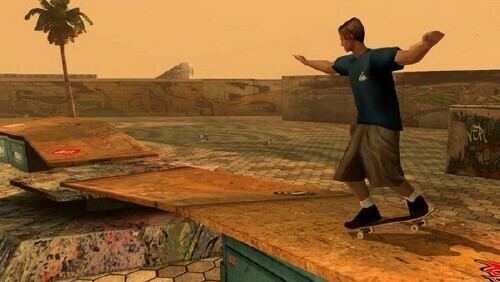 For those of you who aren’t familiar with THPS… shame on you… but I’ll educate you anyway: You choose from a selection of pro skaters (Hint: Tony Hawk is one of them,) and skate around various settings such as warehouses, schools, parks, etc. Each level gives you a certain amount of goals to reach. Those goals vary from collecting certain objects, spelling out the word “SKATE,” scoring over a certain amount in points, and many others. As you get better in the game, you figure out how to do more and better scoring moves, so the game actually challenges you to figure out how to get larger scores. This version of the game also includes an online multiplayer mode where you can try to beat the score of people all over the world. The gameplay is still the same. I had the original for Dreamcast (believe it or not, that’s how old the game is,) and it didn’t take me too long to figure out the controls for the X-Box version. The graphics are definitely revamped from the ground up. I should mention RoboModo, the company that developed the last 2 versions of Tony Hawk games, designed this version. 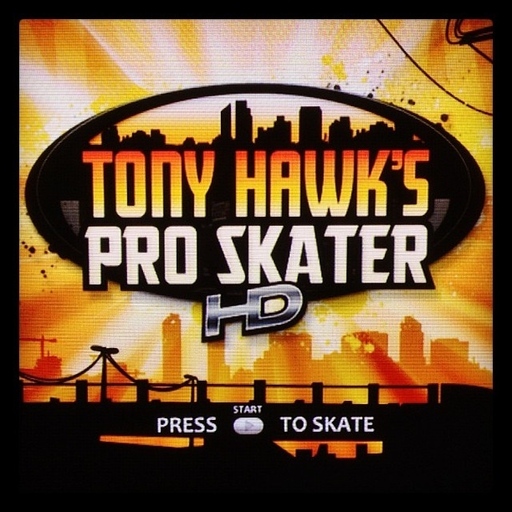 The original THPS was developed by Neversoft (notorious for also taking over the Guitar Hero franchise from Harmonix after EA purchased the rights for use on the Rock Band franchise.) Regardless, you can definitely tell after looking at this screenshot below how much the video game industry has evolved. I feel I should also mention… and I’m not too much of a “sound” guy, but I couldn’t help noticing the various sounds the skateboard makes on different grounds. At one point during the School level, I was riding on cobblestone and could actually hear it rather well. I think the main thing I couldn’t help while playing was thinking of the latter THPS/Tony Hawk’s Insert Random Catchy Name Here where you were capable of straightening yourself out in mid air… I soon remembered that in the original, that was an impossibility. So basically if you’ve never played the original, but the more recent titles, don’t expect the same luxuries. This intro from the original introduced me to not only the Tony Hawk franchise but bands such as the Dead Kennedys, Black Flag, Bad Religion, and many others. This new adaptation, however… has ONE song from the original game… ONE… and not even one of the good’uns. The game compensates by having 6 other songs from the sequel as well as some new songs that to be perfectly honest, aren’t that good. The saving grace (if you want to exert the time and effort) is that you can just use the X-Box’s HD and recreate the soundtrack by ripping CDs/mp3 files into a playlist. Or, if all else fails… an iPod. 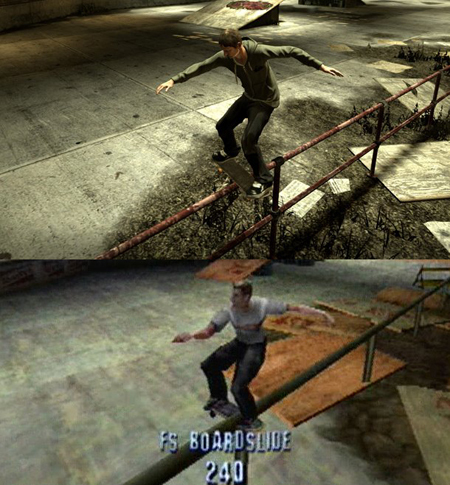 Along the same lines, the original roster from the game is pretty much gone, save for Tony Hawk and Rodney Mullen (who wasn’t introduced into the series until the sequel). The rest of the roster is made up of a whole new crew of “Pro Skaters,” including Tony’s son Riley. I’m not sure in either sense if this was a rights issue, or Activision being lazy, but both are definitely a turn-off. 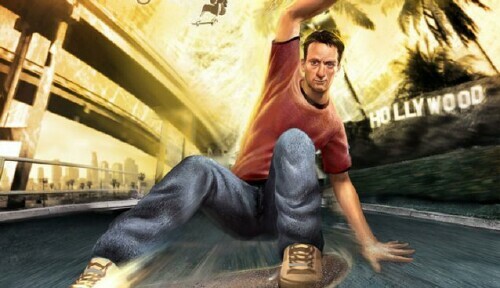 In any case, RoboModo did a superb job revamping the original and revitalizing the Tony Hawk franchise. Hopefully there’s more to come. I give this game 3 ½ out of 5 TOV Stars.